Make It Handmade: Rufflicious Wrap Up! The Couching Method: Best for heavy fabrics and long lengths that need precise measurements. Using a ruffler foot: This is a detailed tutorial by daniKate Designs which I love because it takes you through making a test strip as well as installing the foot and making cute little tiered dresses! I had a chance to use a ruffler foot briefly, and it is a neat little device. You can use it for making tight ruffles or pleats, and as an engineer I just loved watching it work. How to use a gathering foot: This is a youtube video, but it's the best tutorial I've found on how a gathering foot works. A gathering foot is less expensive than a ruffling foot. And if you do happen to have a serger, you can use that to ruffle too! Ruffling with a serger -- this is a tutorial I did for Sew Mama Sew that cover how to use just a differential feed to ruffle. 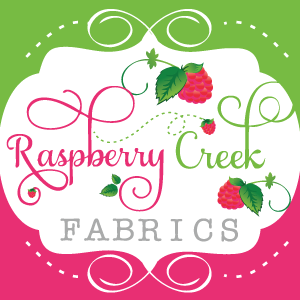 Ruffling with a serger gathering foot-- Learn to ruffle, attach and finish seams all at the same time! This is the method I use most often if I have access to my serger. And we are done! I have a feeling that I might be alone in getting so geeked out about all these different ways to accomplish basically the same thing! I'm hoping that even if you've been a bit bored this week that these tutorials will be helpful to you going forward. It's a great feeling to be able to choose the perfect method for you, and turn a tedious task into a fun efficient one! Have a wonderful weekend, and I hope to see you next week! 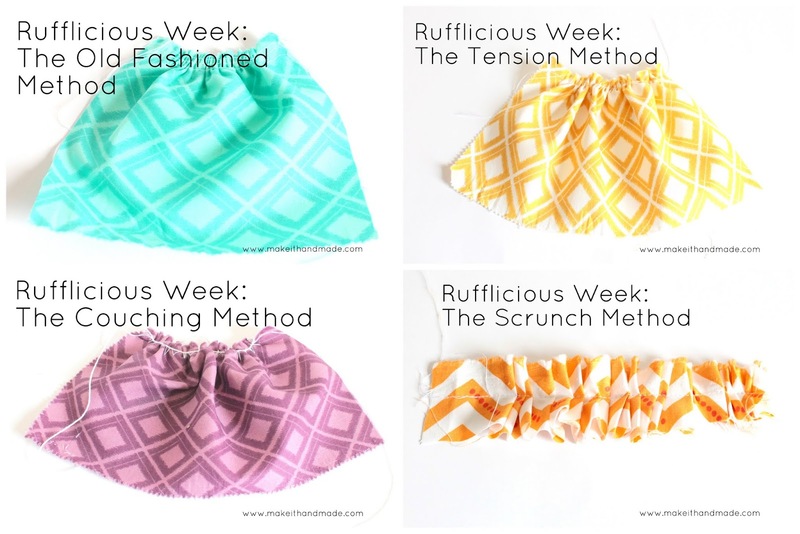 I loved this week of ruffles!! My favorite is the couching method too. I learned how to sew from my mom when I was 10 or so, and of course have used the old-fashioned method for everything. I don't like resewing two lengths of stitching for each gathered edge...maybe this is why my creations don't have as many ruffles! Lovely photos as always! And I think we have the same Janome machine! Lovely blog, by the way. I just happened over here by accident, but I'm glad I did! Thanks so much for including me in your post! I've enjoyed your posts and have used all the methods (except for the scrunch method) before. My favorites are the couching method (for heavier fabrics) or the old-fashioned method. I just love how precise the old-fashioned method is! I like to do one line of basting above and one below where the seam will be sewn, so that I can line up the ruffles and get them really neat. Thank you again for putting so much information in one easy-to-find place! Thanks for this reasonably brief series, what a huge amount of great information you've put together! This will help me to quit avoiding all things ruffled- I may have to try the crinkle quilt now.